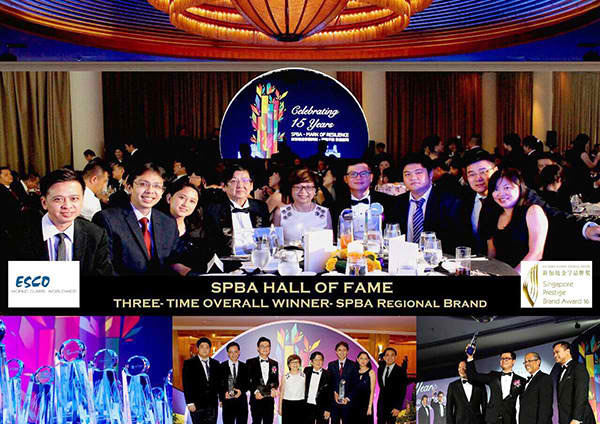 Last October 22, 2014, the Singapore Prestige Brand Award (SPBA) recognized and honoured Singapore brands which have been developed and managed effectively through various branding initiatives. 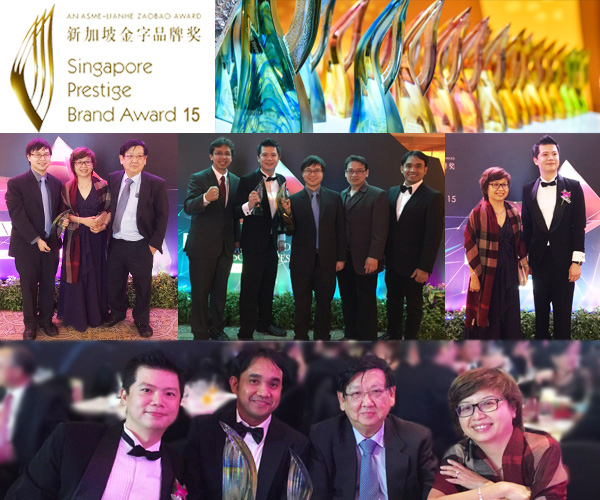 At the award ceremony, Esco clinched the title for the overall winner in the Maybank Regional Brands category. Evaluations were based on the success of Esco’s infiltration in foreign markets and the internationalization efforts and the proliferation of the company in various foreign markets throughout the years. Esco has established a well-designed brand identity system in place which expressively communicated their brand in foreign markets through its logo, applications and documentations. Esco was able to present a clear insight and articulation of its brand which differentiated itself from their competitors. Esco also defined the framework of its roadmap, and set the overall precedence of their brand’s existence and behaviour. Through the continuous brand development and increasing business performance, Esco has shown that their initiatives in improving over the years has exceeded beyond expectations. Esco is the only life sciences tools manufacturer from the Asia-ex Japan region with a global brand and sales/marketing/service footprint in over 100 countries. They are competing with the world's leading life sciences multinationals from the US, Europe and Japan. Esco has been able to brand its proprietary products and successfully differentiated themselves against these players, and became an Asian giant in their industry. Managed from their global headquarters in Singapore, the Esco brand is today well established and recognized by the world's leading scientists and researchers across the US, Europe, and Asia. As Esco takes the opportunity to respond to the world’s needs, they aim not just to contribute in the advancement of scientific discoveries but also in making the world a safer, healthier and a better place to live with. Esco pledges to stand by their promise for the next generations to come. World Class. Worldwide. is more than just a phrase. It's part of who they are, where they are from and where they are going.